Everyone knows the most common fear people have is public speaking, and without having the proper tools to present their ideas, they should be. 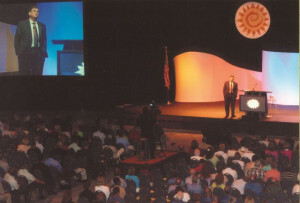 Sooner or later you will be called on to make a presentation to an audience. As someone who has attended presentation skills training programs and who has taught presentation skills to salespeople and executives, I want to share the three most important elements of preparing for a speech. The three keys are: know your audience, know your material, and most important know yourself. Yes, you want to stretch yourself, but you need to know your own starting point. If you have never been a good joke teller, starting with a joke is not funny. If you don’t know the difference between the Final 4 and the Fantastic 4, don’t bring up sports in your presentation. One of the biggest mistakes people make is trying to be someone other than themselves. Yes, Jimmy Kimmel is really funny, Lou Holtz can talk about football, and Jeffrey Gitomer can beguile you with solutions to sales problems. But, chances are you would fall on your face, trying to tell one of their jokes or analogies. So don’t! If you are a fantastic four fanatic, a reasonable stretch could be finding a way to connect the four characters to your four main points. Audiences are good at spotting a phony so don’t bluff, better to use the superpowers that come naturally to you. Audiences are interested in your credibility. It does not matter if it is a sales presentation or a speech to a Rotary club. People want to know what gives you the right to speak to their group. The good news is, unless you are a professional keynote speaker, you are not expected to make the audience cry, laugh, or give you a standing ovation. What you are expected to do is present information in a relevant fashion for their group. Sadly, one speech does not fit all. One week, I spoke about negotiating skills to a national group of Motorcycle dealers in Dallas and negotiating skills to a group of accountants with a big four firm in Cleveland. Yes, the fundamentals of negotiation were the same, but the examples I used were completely different. Even my attire was different. The motorcycle company outfitted me with a beautiful black and orange shirt with their logo embroidered on it. I wore a black suit, white shirt and tie for the accountants. Just as I was appropriately dressed for each event, my material was appropriately tailored for each audience. Generally, people plan their presentations backwards by picking out the points they want to use and trying to shoehorn them in to the talk. No matter how compelling, or funny you think the talk is, if your listeners feel the presentation was not for them, they will let you know it. Now that you know your audience and yourself, you can craft the material you will be presenting. Extract the nuggets that are the most important and relevant for them. Go thru your material and find a way to tie your facts and points to their needs and concerns. As a rule, the audience would rather have 3 to 5 ideas tied into their industry, their stakeholders or their clients, instead of 13 random points delivered rapid fire. The information you choose will give you the strength to Wow any audience. You still do not have the super powers of the fantastic Four, but you are well armed with the presentation skills necessary to give a powerful speech. So, “flame on torch” and have fantastic (Four) presentation. 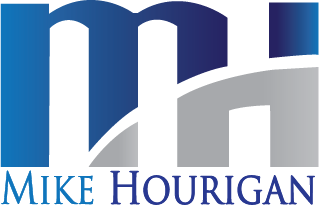 Mike Hourigan is a Motivational Keynote Speaker, Author and Consultant who specializes in Presentations Skills training. Contact Mike Toll-Free at: 888-PRO-KEYNOTE or by filling out the form below.